Today started a series of percussion workshops for children at Shuafat Refugee Camp directed by Palestinian percussionist Raed Said from Jerusalem. The aim of these workshops is to offer children an exciting introduction into the world of music and the joy of discovering new sounds and rhythms. The children started the new musical adventure with a lot of energy and curiosity and didn't want this first session to end. Raed Said who directs the workshop is a demanded performer, composer and band leader in Palestine and abroad who has also developped the first Female Palestinian Percussion Group. 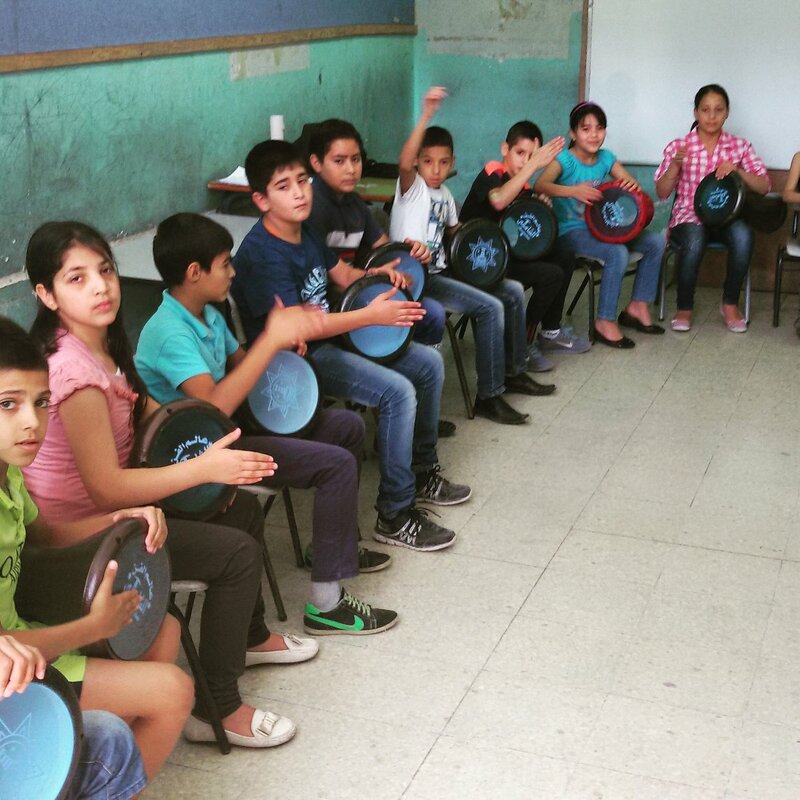 It is his second time to give workshops for children at Shuafat Refugee Camp after a successful first course in October 2014. Both workshops took place thanks to the coordination and strong commitment of Rana Ghurab, an experienced social worker from Jerusalem who has been our partner for all activities at Shuafat Refugee Camp. 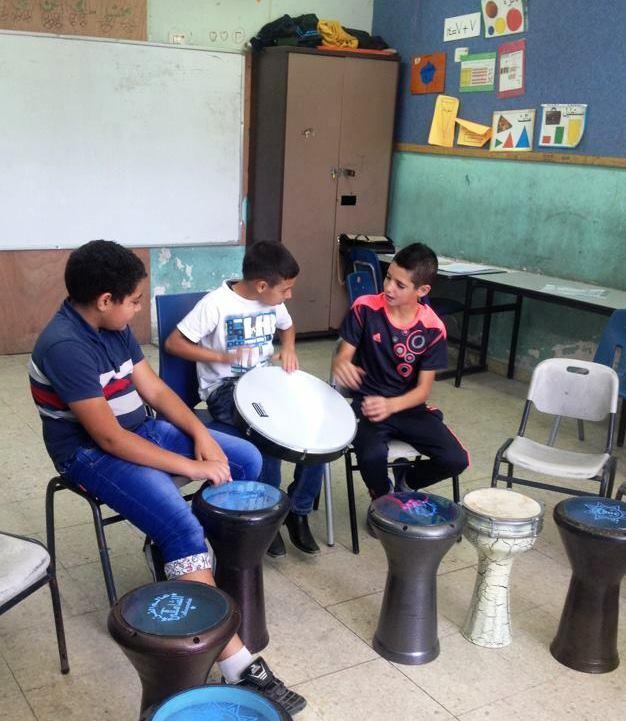 The instruments used for all activities were very generously sponsored by the Czech Representative Office in Ramallah to initiate new artistic programs and possibilities at the camp. 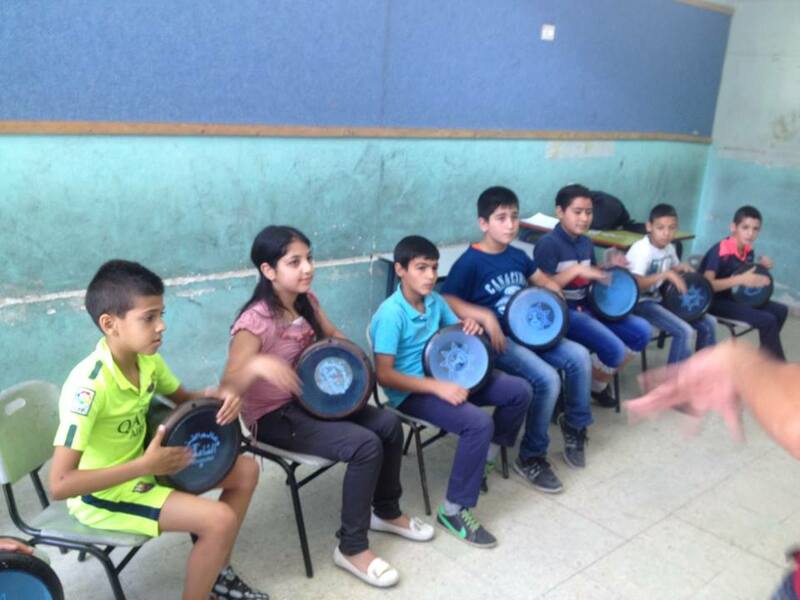 We would also like to thank Mr. Thomas Brugnatelli who through his private donation enabled us to organize this year's children summer music workshop in Shuafat. We are looking forward to hear soon more of the many young musical talents who just started their first music lessons and wish them a phantastic time! Keep playing and enjoy the music!